Everywhere that I’ve been looking for summer gear, I see patches. At Forever 21, they have them all over sweaters, jeans, shorts, you name it. At Zara, the same thing. I’m pretty sure that the 80’s – 90’s fashion is coming up and to be honest, I’m okay with it as long as there are no bell bottoms. I don’t think I could do that one again. This DIY Patch Jean Skirt is a tutorial that is going to show you how to get the look that you see at all the major stores but for less. 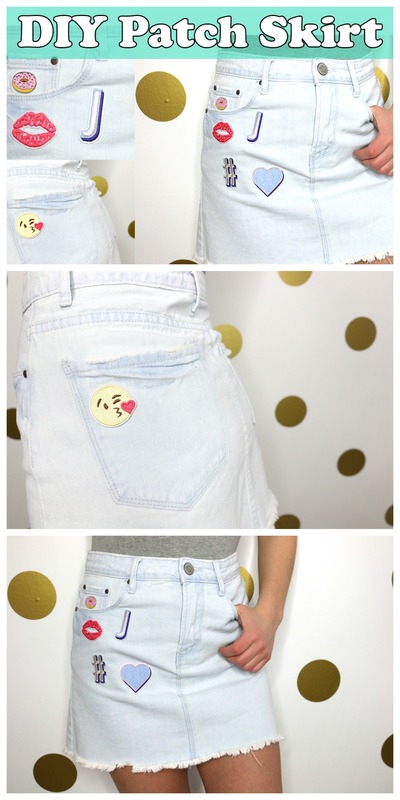 I opted to do this DIY on a jean skirt but I think a jean jacket would be amazing as well. Pick an old item from your closet, pick up some patches at your local craft store and get DIYing. Check out the video below for the full tutorial!